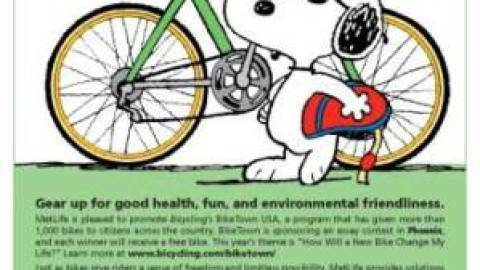 Trek would like to extend a special invitation to take the “Go By Bike Challenge”—a national pledge campaign sponsored by 1 World 2 Wheels that challenges the nation to put down the car keys and instead go by bike. According to a National Personal Transportation Survey, nearly 40% of all trips taken by car are two miles or less. Whether it’s to work, to school, to the park, store, or gym, as a nation we routinely drive our cars distances that are actually quite bikeable. Between now and August 31st, visit 1world2wheels.org and trekbikes.com and make a pledge to take your shorter trips by bike. As Trek’s President John Burke is fond of saying, small hinges swing big doors; working together our collective pledges to go by bike instead of by car can make a real difference. As if helping to change the world for the better, saving money, and improving your fitness weren’t motivation enough, each day of the campaign one lucky pledger will be selected at random to receive a brand new Trek 7.2 FX fitness hybrid bike, valued at $519.99.